Please find below a list of the services we provide and a brief introduction to each financial product area. Please contact us for an informal discussion to see how we might be able to help you. Employers now have to automatically enrol their workers into a pension scheme and make contributions. 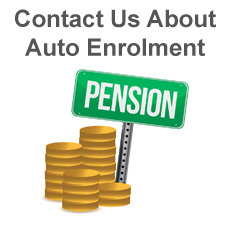 This is commonly referred to as “auto-enrolment”. The new rules took effect in October 2012 for very large employers and between 2015 and 2017 extends to all businesses. The Pension Regulator will write to you at least one year before your designated ‘staging’ date and this signals the time to start making suitable preparations. BriggsFiscal offer a personalised face to face project management service for the installation and ongoing maintenance of auto enrolment. We will help you choose a pension provider, advise on postponement, liaise with your payroll service to assess the workforce and produce contribution schedules. We can supervise statutory staff communications, record keeping, opt-ins and opt-outs and once the scheme commences arrange the Declaration of Compliance. We can offer seminars for your employees to explain the process and check the ongoing duties for each payroll period. Employee benefits form an essential part of reward packages. Whilst Pensions remain the most valued benefit, Life, Health & Dental Insurance can all be offered and support both staff recruitment and retention. Income protection provides security to both employer and employee and should be considered for the larger workforces. We have arranged these group insurance products for corporate clients both large and small and encourage you to ask us about the various options. A well prepared pension plan which is regularly reviewed should go some way to providing you with a reasonable level of income in your retirement. It requires action as soon as possible, so start now - and if you have already started, take the opportunity to have a closer look at your existing arrangements to make sure you are on track.